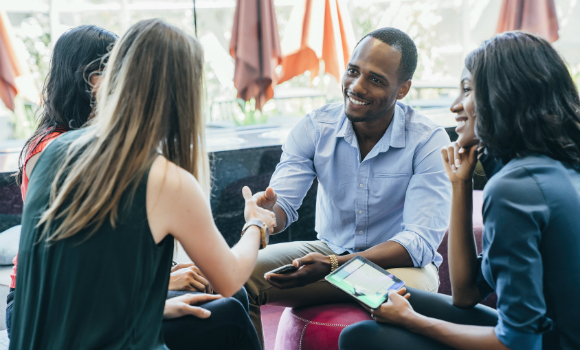 In the meetings and events industry, one of the key predictors of your success is your ability to build relationships with influential people who connect powerfully and create high-trust relationships fast. And just like them, you can learn to effortlessly create profitable, winning relationships with anyone you want. While industry events are ideal places to find potential customers and partners, often the results are disappointing. You do everything the experts say: shake hands confidently, look people in the eye, and give them a well-rehearsed pitch. The person shows interest so you hand them your business card. But then nothing comes of it. I’ve had it happen, too. Over time I’ve learned that when it comes to meeting people I’ll actually do business with, there’s a much better way than having a prepared introduction and handing out my business card. The secret is this: Rather than network, I connect with people. If I’m focused on meeting as many people as possible to tell them what I do with hopes of a sale, I’m networking. If I’m focused on finding people for mutual benefit and establishing a relationship based on how we can help one another, I’m connecting. Here are four actions that will have you getting the results you want when attending live events. And, if you plan events, some tips on how to support attendees in making valuable contacts. Go where the people you want to meet spend time. This seems intuitive but many don’t consider who they want to meet and why. Once you are clear it becomes easy to find events where these people are. For example, if you want to meet a top industry influencer, research where they go to network. If they are nominated for an award, grab a ticket to the gala ceremony. If they just wrote a book, watch for events where they are the featured speaker. Before attending do your homework. Learn as much about the person’s likes and interests as you can. Then when you meet them you’ll have a great foundation for making a connection. To some degree, most people feel awkward about meeting people for the first time – so if you feel jittery, know it’s natural. Neuroscientists have discovered that the same region of the brain that registers physical pain, also registers emotional pain. You avoid stubbing your toe. Likewise, you avoid being rejected. Find someone you know as soon as you arrive. Get warmed up by having a conversation with them first. Once you’ve made a first connection, you will feel more confident talking to someone you don’t know. However, what if you cannot find a familiar face? Look for someone who is smiling. Again neuroscientists discovered pathways in the brain that mirror other people’s emotions. When someone smiles you feel good, and feeling good makes you feel confident. Always smile when you meet someone since mirroring works both ways. Tip for Event Planners: On the registration page of your event web site, be clear about who will be attending your event including speakers and dignitaries. Some registration sites even provide an option to show the names of registered attendees. 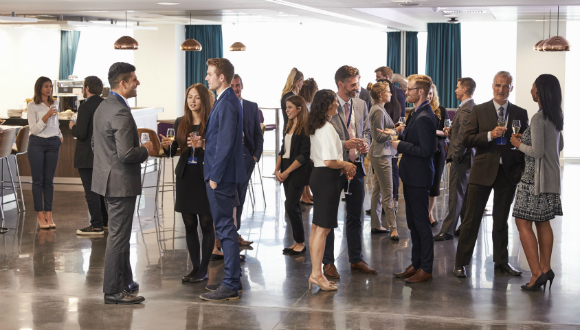 Some believe extroverts have an easier time than introverts at meeting people. That may be true. But introverts make great connectors because they tend to listen more than they speak. For example, I’m an introvert. I have a network of 12,000 business owners and I produce two of the largest networking events in Toronto. I share this not to brag but to compare it to where I was 15 years ago – a very shy introvert uncomfortable in most social settings. The thought of walking into a room of strangers literally petrified me. When I learned to ask great questions, it became easy to initiate and carry meaningful conversations with anyone. And I liked that it took the focus off me. Be curious about everyone you meet – you never know where opportunity is waiting. Case in point, I once got a client in an elevator where I literally had 30 seconds to connect. Start with a general introduction by asking someone their name and what they do. Then ask some open-ended questions to find something in common. For example, ask about their interests. Or take notice in something they’re wearing. Find something you have in common. It could be a hobby, last name, same industry – whatever. Find something – this is the easiest way to connect. Again stop talking and listen carefully for clues that you can help them. Ask clarifying questions that reveal whether they need what you have to offer. When you discover what people want, then and only then offer a way to help someone reach a goal or solve a problem. This works because your offer to help builds trust. And people do business with people they trust. Tip for Event Planners: Have friendly hosts available to introduce attendees to one another. Provide name tags so people don’t have to remember someone’s name. Organize structured networking sessions for those who feel less comfortable with meeting people. Provide them with questions to start a conversation and keep it going. Add an article in your show program on how to connect with people. Use an app like TheNetworkingEffect.com. It allows people to search for people at the event and send a message to meet at a convenient time and place. Recently I watched a video clip with Dr. Ivan Meisner, founder of BNI, the world’s largest business networking organization. Dr. Meisner recalls asking a live audience to raise their hand if they attended to sell. Almost every hand went up. He then asked who had come to buy something. Not a hand went up. He proved the point – no one attending a networking event comes to buy – so stop selling. Instead engage in great conversations by asking questions that identify what someone wants. Offer to help them get it. Then get permission to book an appointment to discuss further. Now it’s time to ask for their card and offer yours. With permission, jot notes on the back of their card including how you will contact them and when. Or open your phones and schedule the meeting on the spot. Always remember the best way to build more trust is to do agreed next steps, which leads to following up in a way that builds your new connection. If you find you don’t follow up, you are not alone. Most people don’t. But given that people, on average, decide to buy between the seventh and 12th time you connect, it’s a habit you must form. And by taking the lead you stand out as professional. To ensure you follow up, when you register for an event, also schedule time the following day to reconnect with important contacts. Contact people in their preferred way – phone, text or email – and remind them about where you met and what you agreed to do as a next step. Use client relationship management software that allows you to keep notes on last steps. Always schedule next steps into your calendar right away – and do them. While you don’t need a large network to be successful, you do need to stay in touch ongoing. Make a list of the top people you want to build a relationship with and each day reach out to five people, asking what they are working on and how you can help. Each month you will connect with 100 people. There will always be times when people don’t respond or you don’t form a lasting connection. That does not make you a failure; it just means the timing was off. The principle is stay in touch frequently and consistently until the timing is right. 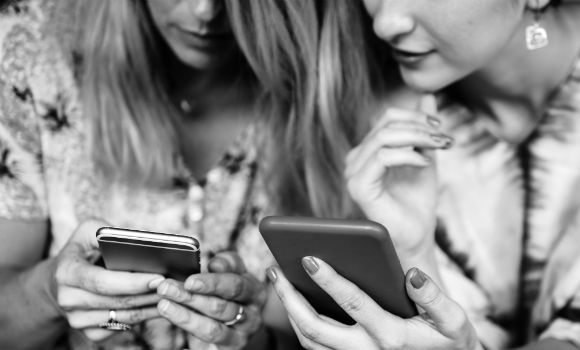 An easy way to stay top of mind is to connect on social media platforms and comment on their posts. Building and maintaining relationships in business is the same for any relationship. Rather than being concerned about doing it right, each day practice getting better. Over time you will be a pro who makes people feel comfortable and important. Finally, if you want a successful life and business, attend live events frequently to expand your network. According to Tom Corley, author of “Rich Habits,” 79 per cent of wealthy people network at least five hours per month. Ultimately it’s the people you surround yourself with that influence your success. Connect with people everywhere you go – you never know where you’ll find your next big opportunity. Jennifer Beale is an award-winning networker and award-winning event producer, as well as the speaker and author of “Networking for Sales.” Each month she promotes more than 500 networking events in the Toronto area through her popular online magazine, www.BizNetworkNews.com. Her passion is helping people achieve career success by building key relationships. This entry was posted in Career Development, Meeting Community, People & Profiles, Special Events & Conferences, The Business of Meetings and tagged connect, influential, networking, relationships, success.